The Stompin' Riffraffs are truly the furthest out man (or woman) has ever gone! 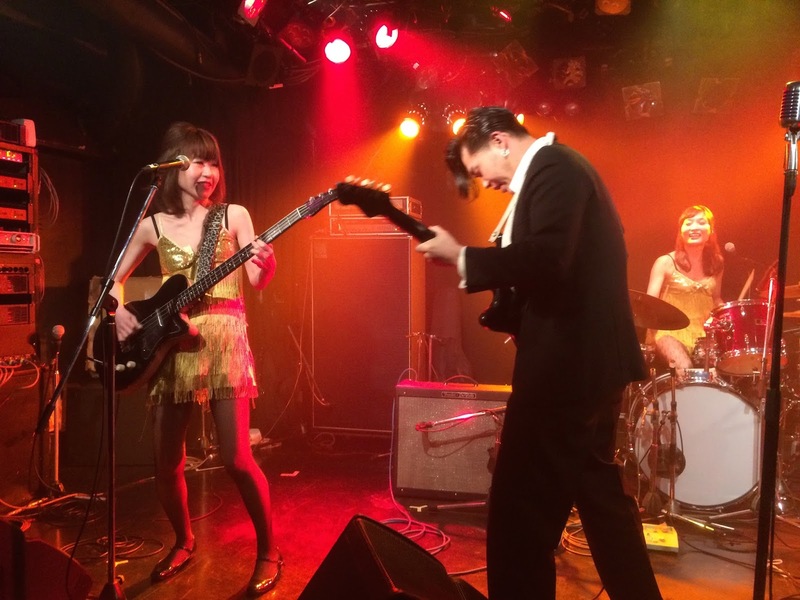 Their unique Japanese take on American rock'n'roll is simultaneously over the top and enthralling. Nao, Rie, Miku and Saori are inspired by the very same artists that perform at The Ponderosa Stomp. The Riff Raffs versions of songs like The Starfires' "Linda", Ronnie Haydock's "99 Chicks" and Johnny Knight's "Rock and Roll Guitar" create an even greater adrenaline rush than the originals. The Stompin' Riff Raffs have created a sensation with their East Coast performances and now everyone will find out what the fuss is all about. And we guarantee that you'll never see anyone else play the theremin like Miku!